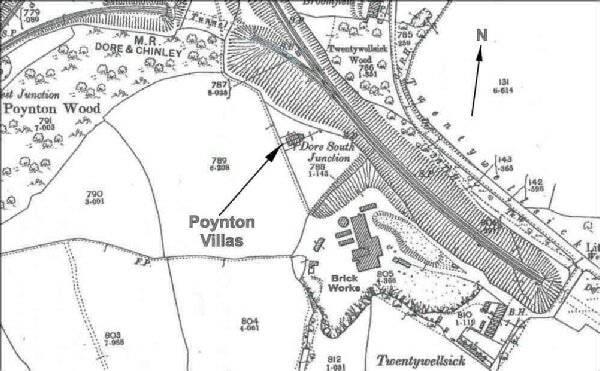 Poynton Villas were a pair of Victorian semi detached houses, built sometime in the 19th century for either workers at the Twentywell Brickworks or for managers working on building the Bradway Tunnel. Very little is known about these although their foundations are clearly visible, poking out through vegetation that has grown up since they were demolished in the 1960's. The project began in the autumn of 2013 and over the next two years, research threw light on the occupants of the houses and the layouts were clarified. Two successful open days for local residents were held. ​By the end of 2015, we felt that we had established the layout of the houses with some confidence. 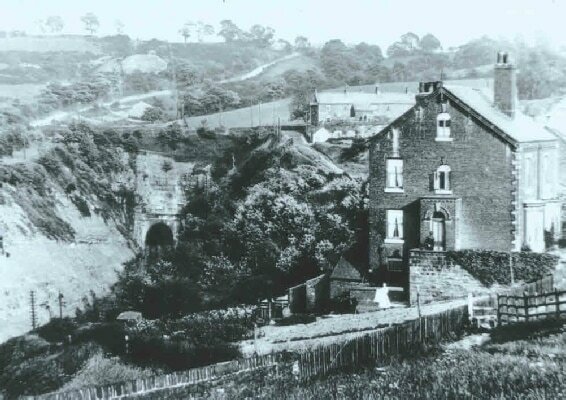 There were 3 stories at the back of the houses, including a kitchen and a scullery area with a courtyard. The houses had back doors (quite close to the front doors) leading to these areas. There were toilets at the very back. We saw evidence of structural elements such as chimney stacks and staircases, and found the remains of the scullery boiler, sink, and cooker in one of the houses. We uncovered the courtyard surfaces and several paths, mostly paved with the ubiquitous Twentywell bricks (stamped 20WELL, probably rejects from the adjacent brick works). Even the flower beds in front of the bay windows were edged with these bricks. ​One of the most interesting discoveries was that at least one of the houses had a tank in the basement for the storage of fresh water. One of the visitors to an Open Day told us she remembered a bowser delivering water to the houses, which were never on the mains supply. We found many domestic items including two dolly tubs, saucepans, a newel post, a tin of ointment and many fragments of domestic pottery. We also found a large collection of ladies' stockings in one of the courtyards! For more information contact the project manager Glynn Burgin.